Building plans call for heavy (and strong) roof girders that will add additional protection to to the inhabitants of the safe room in case the building is damaged by a natural disaster such as a tornado. 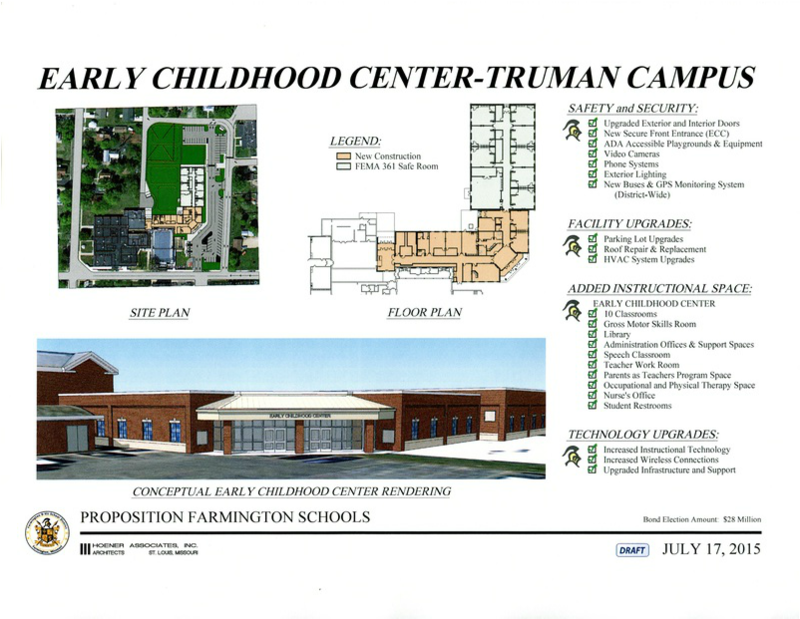 As work progresses on the main Childhood Center building, which will contain the "safe room," more attention is now being focused on the link between the Truman Kindergarten building and the main Childhood Center. 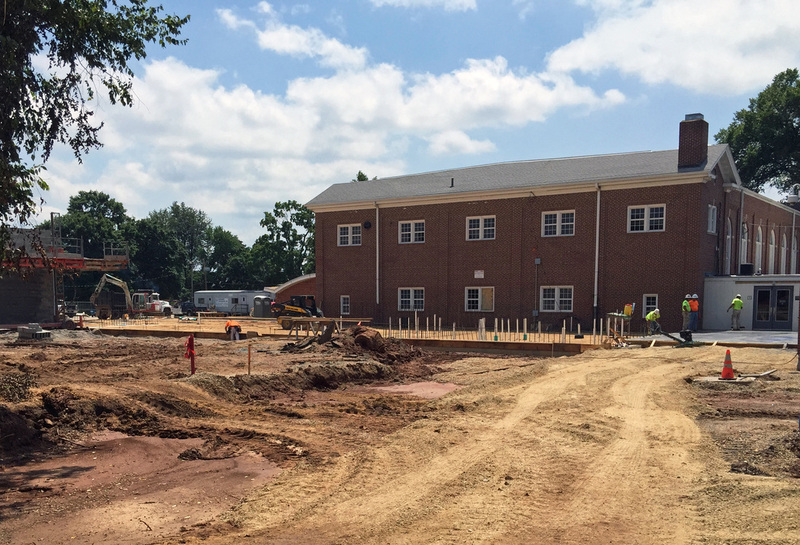 This new phase of construction will include the building's entrance which will face North College Ave.
August 3 -- Work continues of the new Early Childhood Center located behind Truman Auditorium. The structure, a FEMA safe building, is being constructed at a cost of approximately $6 million, 75% of which is being paid for with a grant from the federal government. 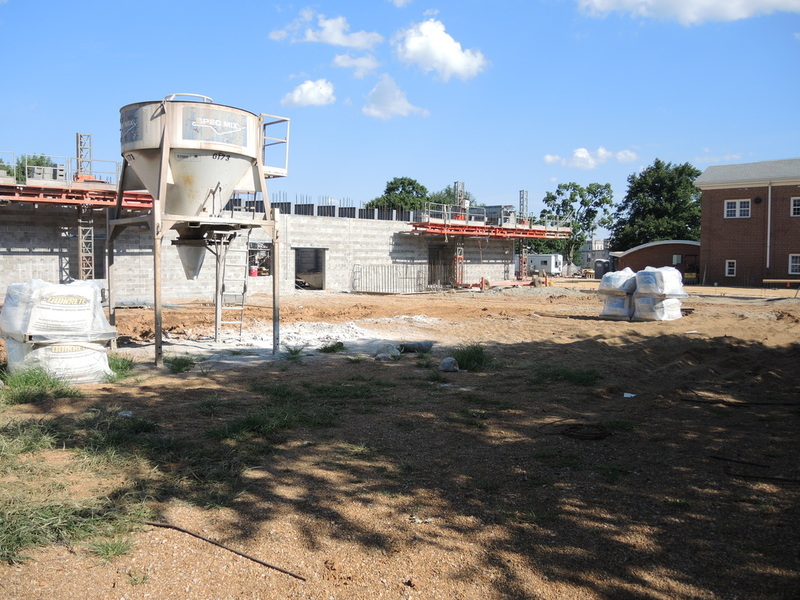 When completed, it will be used for early childhood screening and pre-kindergarten classes. The facility will also provide enhanced opportunities for students with learning disabilities. A special feature of the building is a safe room with a capacity to protect occupants from inclement weather, including tornadoes. It will be large enough to accommodate students from Truman Elementary and the Washington-Franklin schools as well as any individuals who live within a mile of the building. Rain delays have postponed the opening date, which is now set for December 2015.